Here I want to show some interesting optical instants which I was lucky to see during some outdoor trips. 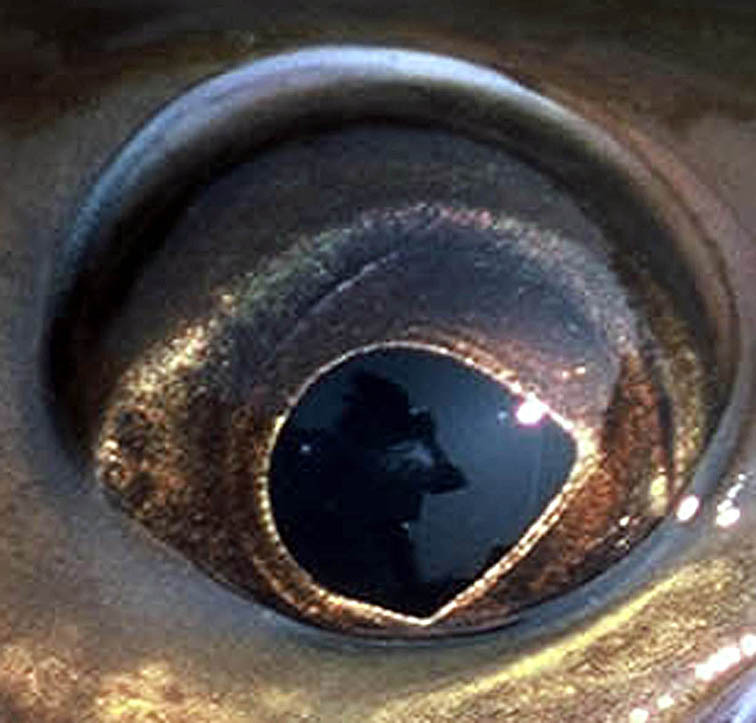 The eyes of a live fish reflect its surroundings. We underestimate the quality of these reflections — due to the small size and curvature of the «mirrors» the image is very small. Here you can see an attempt to magnify my own image from the eye of a 2 kg lenok. A photographer’s silhouette with the sky as background. When the sea surf is licking the pebbles at the beach, the people passing by are reflected for brief moments in the quickly disappearing mirrors. Every smooth and wet pebble works as a mirror. 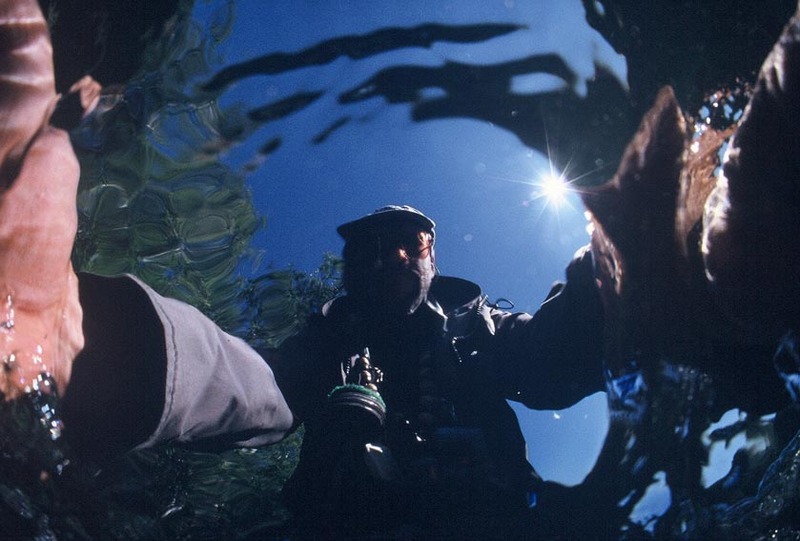 The shot is made with a wide-angle lens; the image could look similar to the one made by the real fish eye. The fisherman had pulled the fish close to the boat, and is stretching out his greedy hands... the image looks rather terrifying! 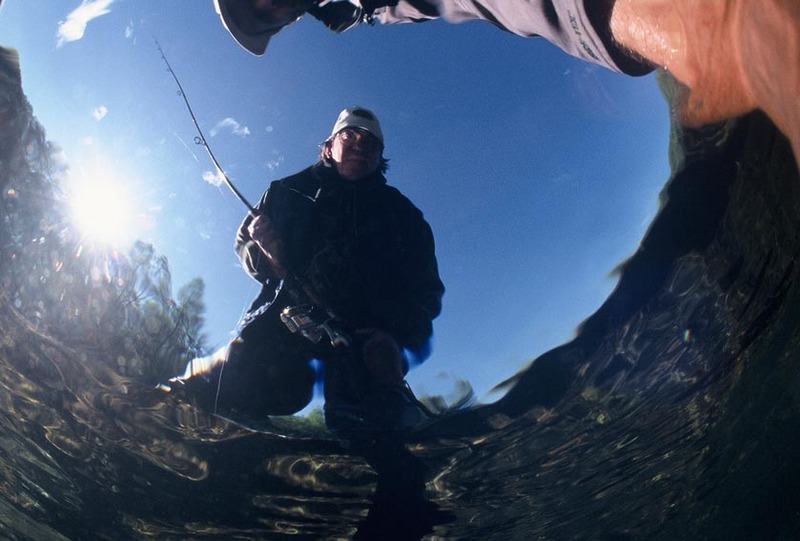 This is how the fish sees a fisherman!